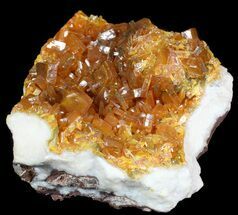 This is a beautiful cluster of clear hemimorphite crystals on limonite matrix from Chihuhua, Mexico. 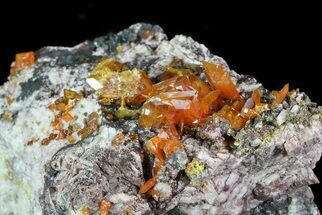 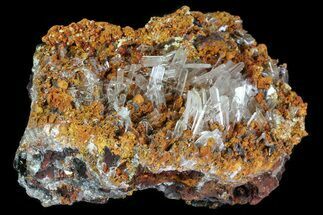 Hemimorphite is a basic hydrous zinc silicate with the chemical composition Zn4Si2O7(OH)2 · H2O. 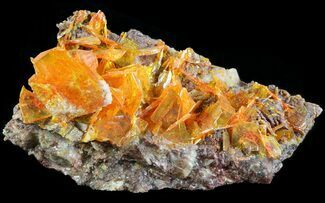 It earned its name from the structure of which the crystals form, through greek terminology. 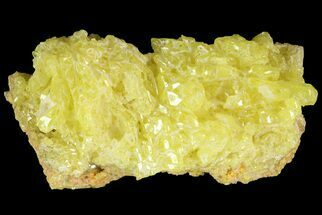 It has two different terminations on each side of the crystal, hence the inclusion of the greek terms "hemi", meaning half and "morph", meaning shape. 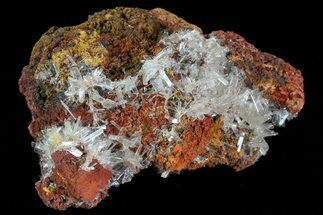 The crystal formations can range anywhere between a crystal druze or botryoidal formation, to radiating acicular crystals, and more. 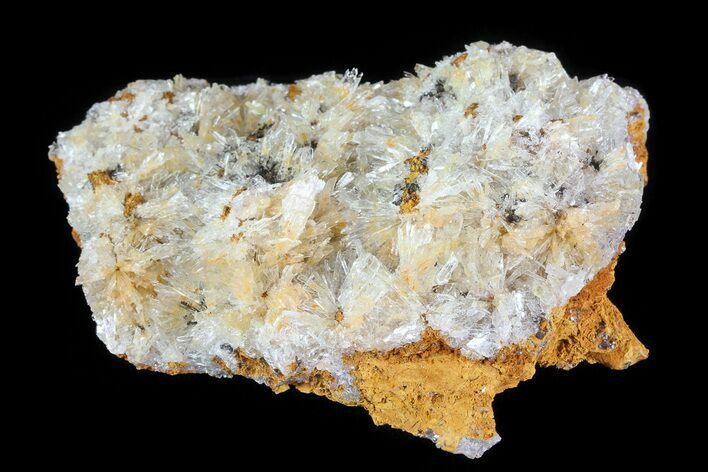 The color of these crystals have been found to be white, beige, light brown and blue. 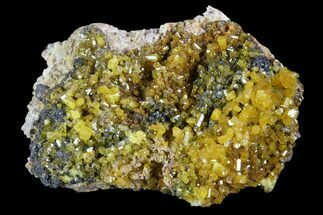 On rare occasions, yellow and green crystals have been found. 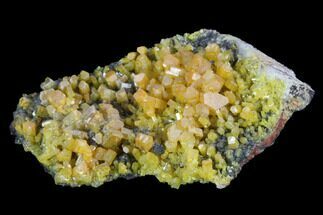 Prior to 1803, hemimorphite and smithsonite were thought to be the same mineral called "calamine". 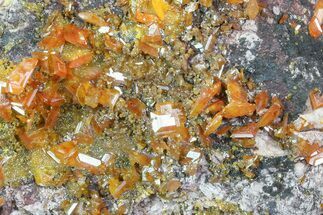 However, following further scientific research, it was concluded that these were two distinct minerals.